Jason Day, who loves the Cleveland Cavaliers, showed support for the defending champions ahead of game one of the NBA Finals against the Golden State Warriors at the Memorial Tournament on Thursday. 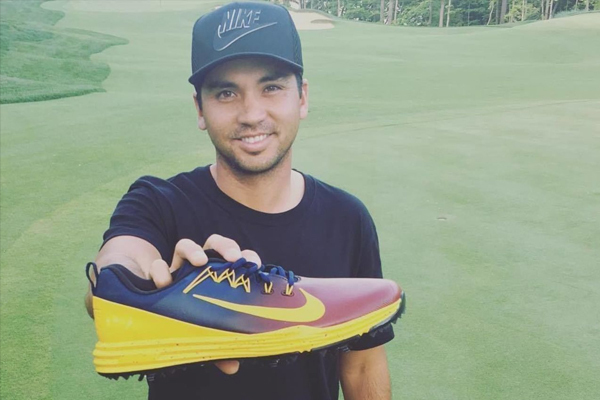 The Australian golfer, who now lives in Westerville, Ohio with his wife Ellie Harvey, a native Ohioan, had a special pair of Cavs-themed spikes made for the event. Can't wait to play in my adopted home state tomorrow in these  shoes! @Teamswish Got you a pair, too . Let’s bring home the Championship @Cavs!